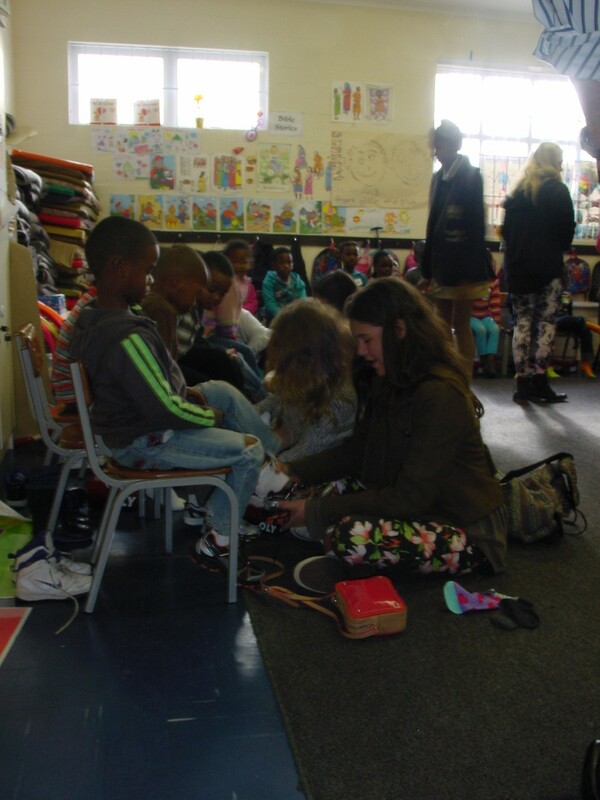 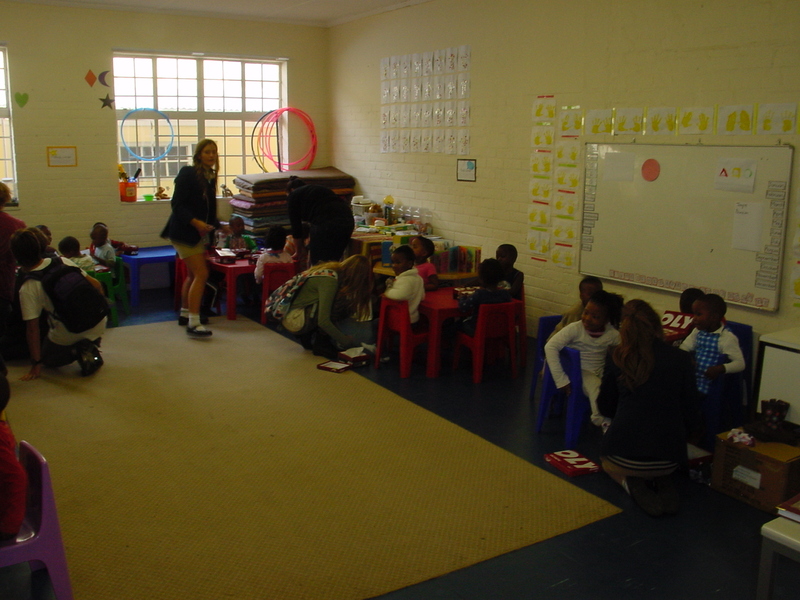 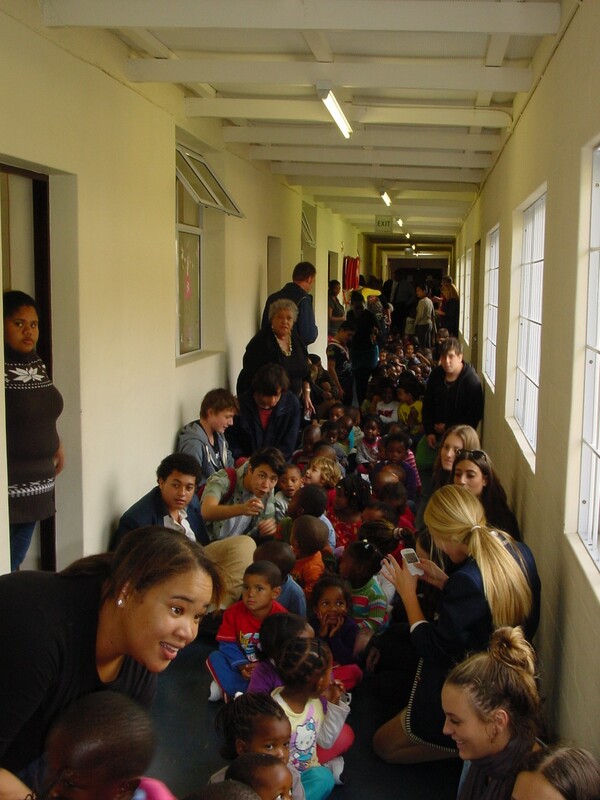 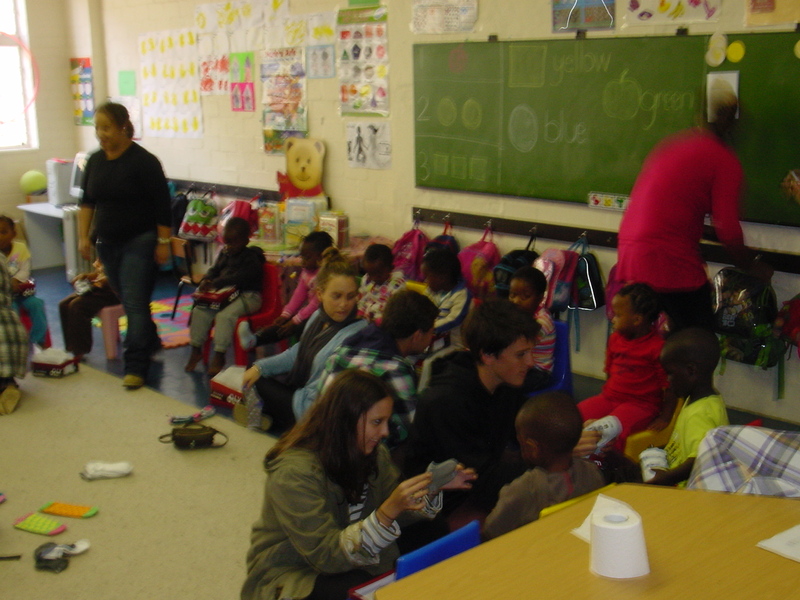 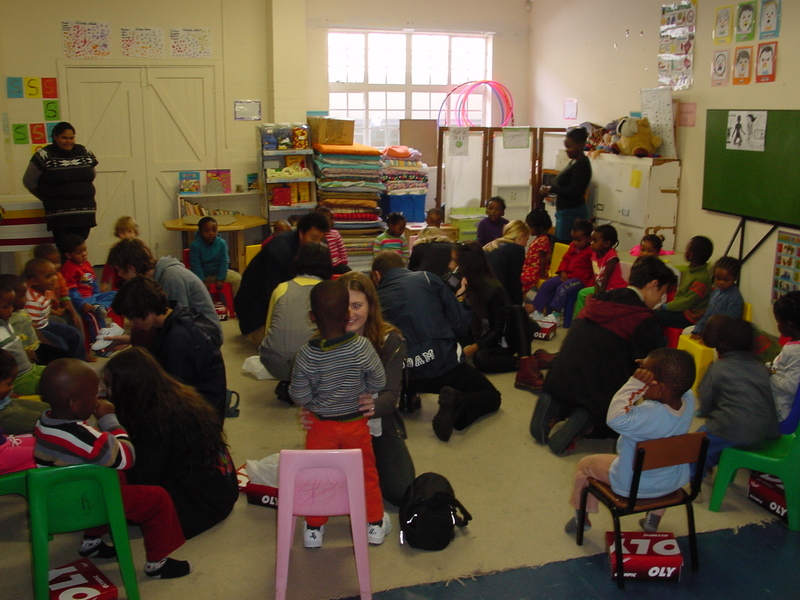 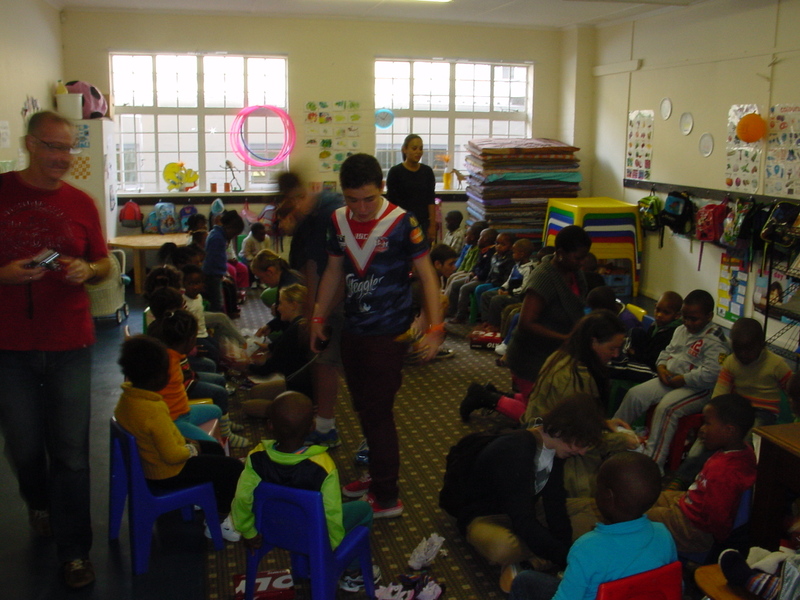 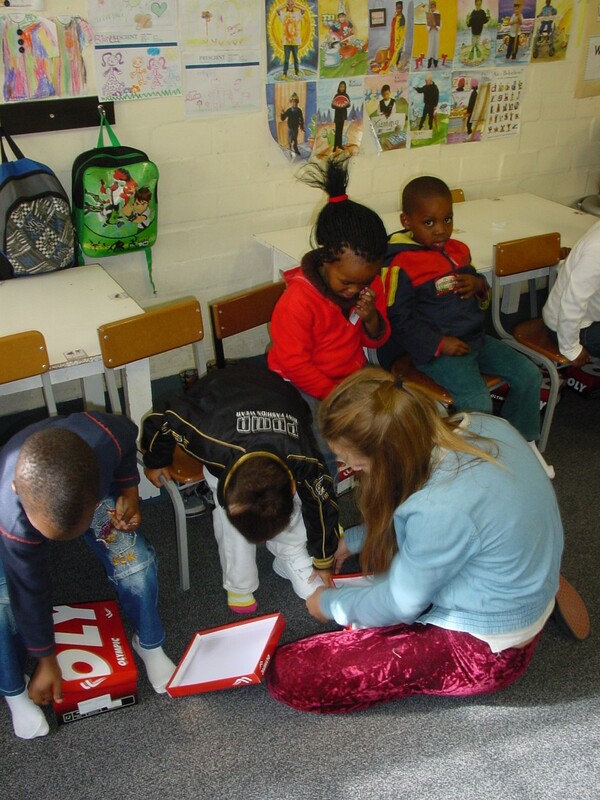 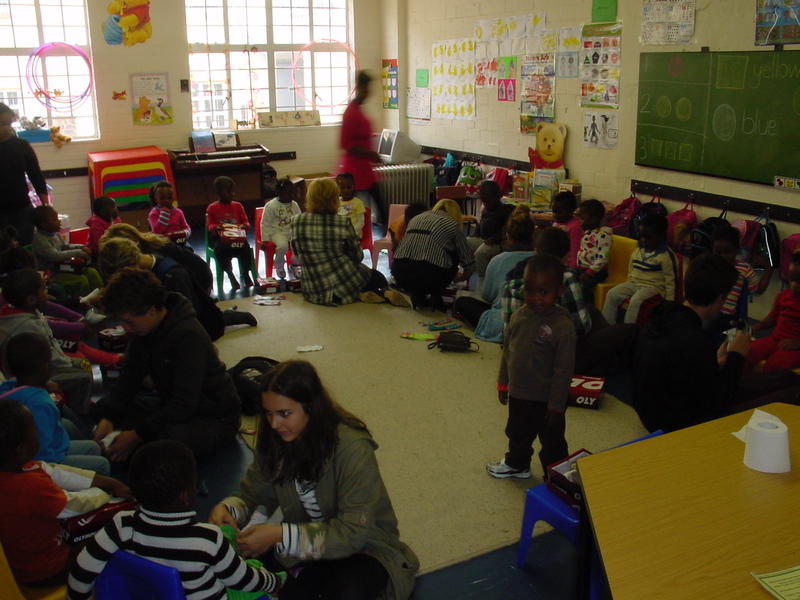 Learners and staff from Reddam House School, including a contingent of visiting students from Reddam House Australia, came to Emmanuel Educare this morning to issue a new pair of shoes to all of the young learners. 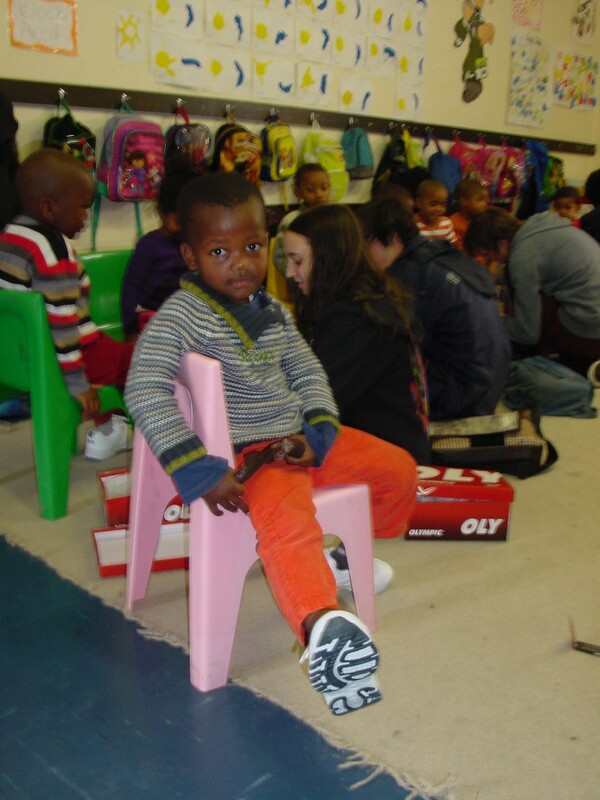 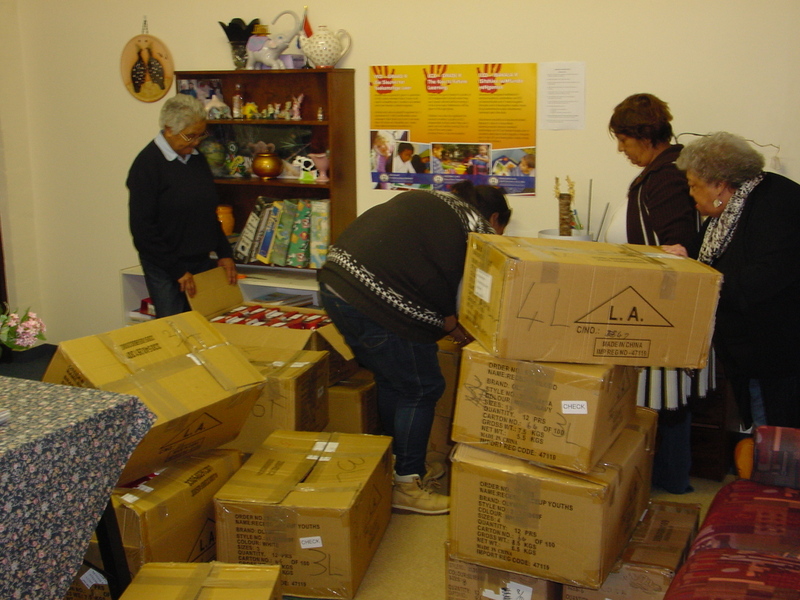 194 pairs of shoes and a new pair of socks to go with the shoes as well! 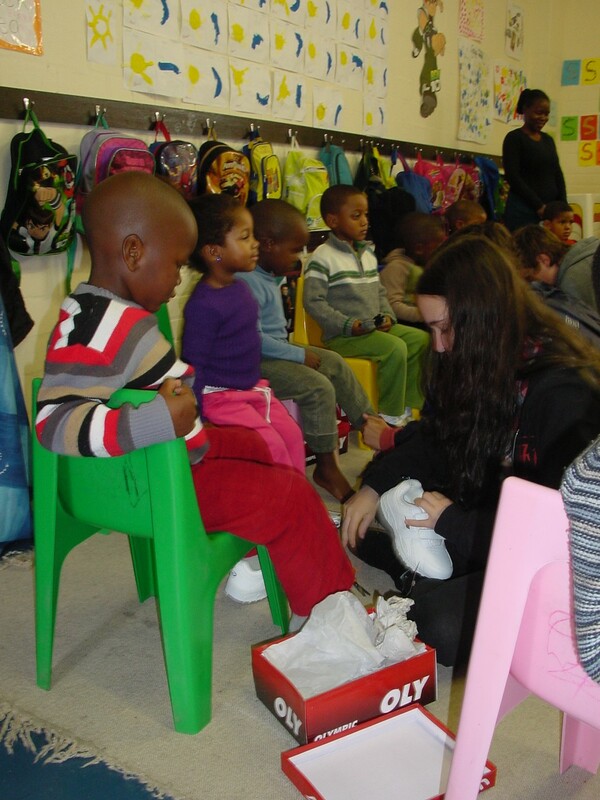 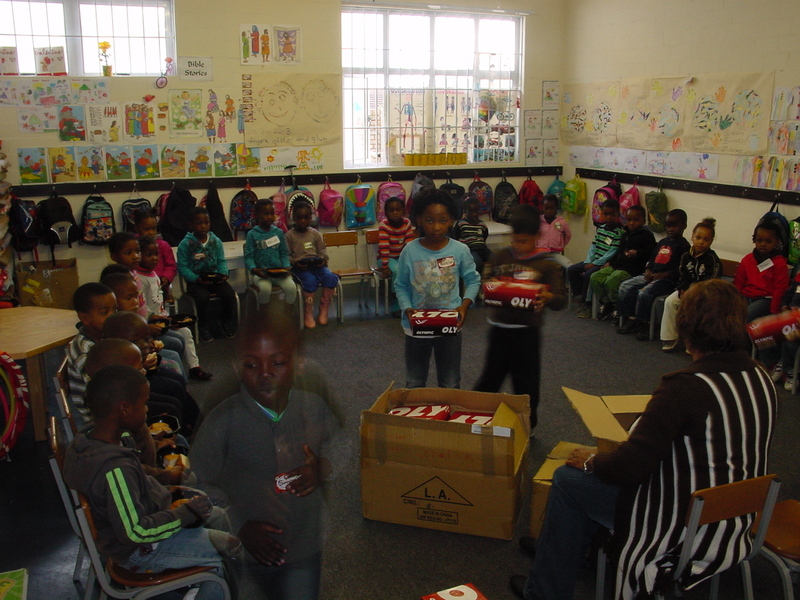 The Reddam students fitted the socks and shoes on our young learners feet and the children were delighted with their new footware. 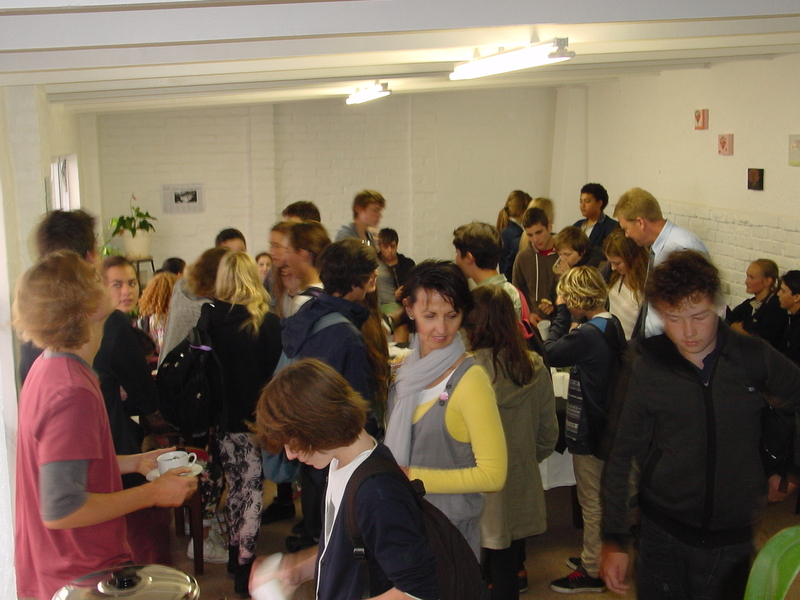 Afterwards our visitors enjoyed tea and coffee in the new staff room. 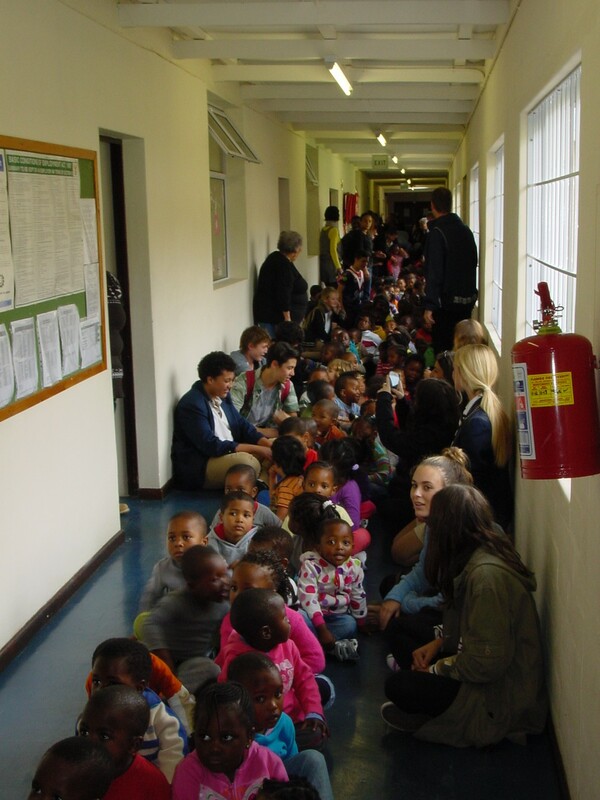 Emmanuel is very fortunate to enjoy the support of the nearby Reddam Schools and we highly value our relationship with them. 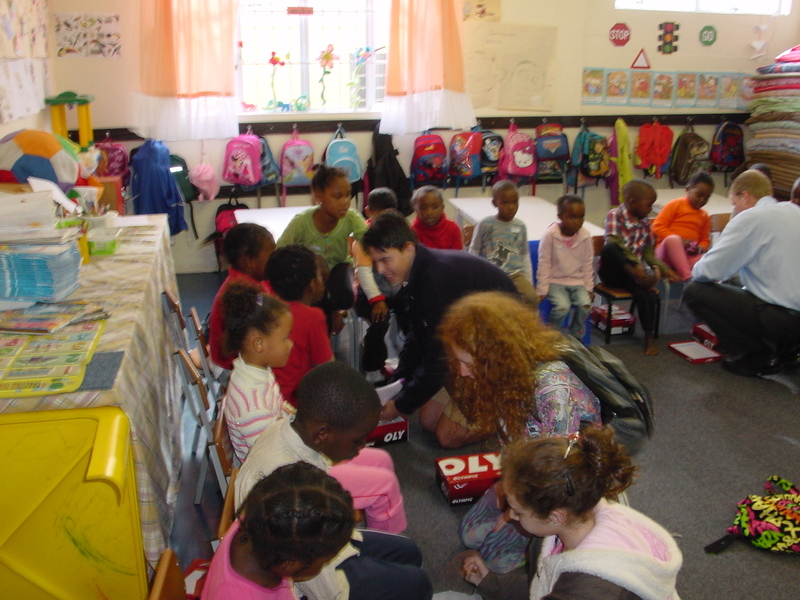 Thank you Reddam for being such wonderful friends!